When we get death for sin, we're only being paid what we're owed — sin is rebellion against the God who loves us and gave us his most precious gift to redeem us from sin! 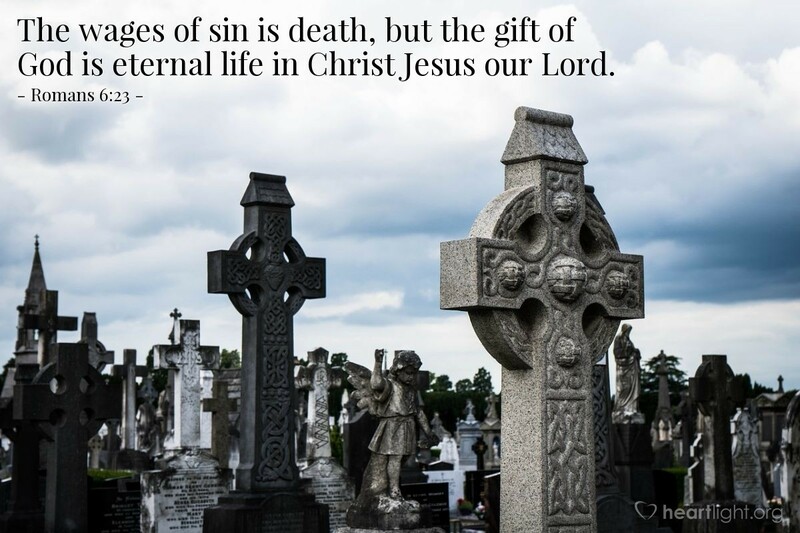 But God's gift is free — eternal life in Jesus Christ. We could not earn it, deserve it, or demand it. So God offered it by grace. Thank you God for loving me when no one else could or would. Thank you for sacrificing the most precious gift of heaven so I could join you there. Of all the gifts I've ever received, yours is the best. I offer this praise in the name of one whose gift has given me life! Amen.